Restaurants are an important driving force in Utah’s economy. They provide jobs and build careers for thousands of people, and play a vital role in local communities throughout the state. 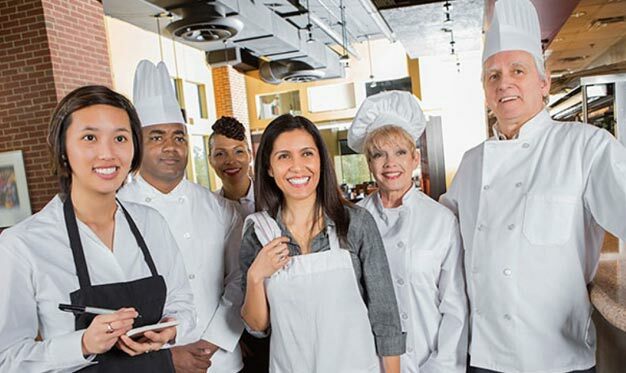 Food service training is key to keep this economy growing. According the National Restaurant Association, Utah has approximately 4,750 Food and Beverage serving locations, with an annual spend of greater than $4.4B and over 120,000 restaurant/bar jobs. Utah is expected to see 13.3% job growth over the next 10 years, well above the industry average. Why is Utah Food Safety Training & Certification important? Utah food safety and sanitation are integral to operating a successful food service. The safety of the food supply is a responsibility shared by consumers, producers, sellers, managers and handlers. The Center for Disease Control (CDC) estimates that 76 million people fall ill, 325,000 are hospitalized and 5,000 Americans die annually from foodborne illness. The top 3 causes of foodborne illness attributed to food preparation and service handlers are: poor personal hygiene, improper holding temperatures, and improper cooling procedures. Since the majority of foodborne illnesses are attributed to food service handlers, and the top contributing factors are related to handlers behavior, the importance of the training food handlers receive is critical. Utah Food Safety Training is a leading provider of UT food safety courses, food handlers cards, food manager ANSI certification, and HACCP training. Lowest price available and money back guarantee! Utah Food Safety Training Keywords: utah approved,utah food manager certification,utah food handler,utah food handler permit,utah food handler card,utah food safety,utah food manager,utah certified food manager,utah food safety training,utah food safety course,utah food vendor,utah food truck, utah caterer. Our Food Safety Training is approved by the Utah Department of Health and valid statewide for: Salt Lake City, West Valley City, Provo, West Jordan, Orem, Sandy, Ogden, St. George, Layton, Millcreek, Taylorsville, South Jordan, Lehi, Logan, Murray, Draper, Bear River, Central Utah, Davis County, Salt Lake County, Southeastern Utah, Southwest Utah, Summit County, Tooele County, Tri County, Utah County, Wasatch County, Weber/Morgan and many more! 10% Off Sale!